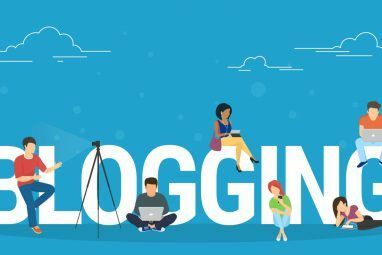 Those people looking for a simple, stress-free way into personal blogging could do a lot worse than Tumblr, an excellent choice for the budding online content creator. You can get a website set up almost immediately, choosing from one of the hundreds of different themes available to you, and then begin posting whatever you want to post to your heart’s content with the minimum of effort. Tumblr has become more than just a blogging, or micro-blogging, platform. 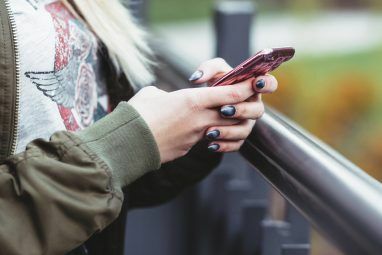 It’s become the source of original content, with people creating graphics, GIFs, short videos, poems, haikus, and anything else you could care to mention, before posting them to the Web using Tumblr. Tumblr is also the perfect platform for reblogging other people’s content, with a dedicated option to do just that. The only problem is finding content worth reblogging or even promoting to the wider world. Which is where Reblorg comes in. Reblorg is Tumblr’s latest effort to promote itself and the best content that debuts on its platform. It’s essentially a curated site run by the newly-established editorial department at Tumblr, with Christopher ‘topherchris‘ Price, one of the team, selecting the content to be featured on this standalone site. All content is welcomed on Reblorg as long as it’s both original and creative. A post that fits that broad criteria can be submitted for consideration by simply tagging it with #reblorg. A member of the team reviews all submissions, and the best – or worst, or most bizarre, or completely unintelligible – is then selected for inclusion. Tumblr lovingly, and hopefully jokingly, refers to Reblorg as “the only website on the Internet“. The implication being that this is the last website you’ll ever need to visit because the content is just that good. “Good” isn’t really the word I’d use to describe the type of content that makes it onto Reblorg. Obtuse perhaps, but not good. The need for Reblorg-worthy content to be both original and creative means you’re not going to find anything on the site you’ve seen elsewhere on the Web. Sure, a particular meme could make its way into the minds of a Tumblr user, who then puts his or her own spin on it, but generally speaking the content that appears on Reblorg is fresh and innovative. That is if you find GIFs fresh and innovative. These moving, endlessly-repeating images are enjoying something of a resurgence in popularity of late, with even mainstream websites using them where appropriate. Reblorg, which is anything but mainstream, features them liberally, which makes the site capable of inducing a motion sickness headache in record time. Original and creative appears to mean strange and bizarre, at least to the people in charge of curating Reblorg. Scrolling down the page throws up post after post of references that go completely over my head, and as someone who spends most of his life online in some capacity, I know a meme when I see one. While I can appreciate why a GIF showing Mitt Romney with his head on upside down is considered funny, the point of a still image of a cat sitting on a magic carpet is completely lost on me. It’s all original, certainly, and creative, definitely, but the strange and bizarre elements mean this is unlikely to foster anything approaching a mainstream audience. The point of Reblorg is, I guess, to help promote Tumblr, the content creators that have made a home for themselves on the platform, and the Tumblr sites they are responsible for. Which is a nice idea in theory, let down in practice by the fact that most of the content is so bizarre that the rest of the Web won’t have a clue what to make of it. Embedded above is a video by Next Media Animation, the Taiwanese company that has built something of a following on the Web by creating strange animated shorts related to news events. It was commissioned by Tumblr to mark the launch of Reblorg, and it’s a good indicator of the level of originality, creativity, strangeness, and bizarreness the site will be operating on. What do you think of Tumblr as a whole? Do you own a tumblelog of your own, or do you ever visit other people’s tumblelogs? What do you think of Reblorg? Or Tumblr’s efforts to create an editorial department curating the best of the varied content that appears across its network? As always we want to hear your thoughts on the subject, so please feel free to leave a comment below. I don't know about tumblr, maybe it is interesting.. But i think WordPress is powerful platform to blogging :D, I use it..